Explore Portugal's River of Gold on a premium river cruise with the AmaVida. Whether you're in to wine tasting, sightseeing, or just lounging in the sun, the AmaVida has something for you. 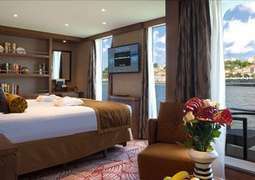 The AmaVida offers a distinctive river cruise along the Douro river in Portugal and Spain. A must-see for wine lovers, a major part of each cruise revolves around visiting vineyards and tasting the region's distinctive wines. This journey is also rich in sightseeing and cultural activities, from visiting castles and UNESCO world heritage sites to being treated to a flamenco performance and vineyard tours. In addition to the region's famous Port wine, you'll have a chance to try the sweet Moscatel de Favaios wine, and learn what gives it its distinctive flavor. The highlight of the trip is an excursion to Salamanca, the City of Gold, famous for its Baroque and Gothic architecture and the historic university. The AmaVida is a comfortable and stylish river boat with modern amenities including a top-deck pool, a fitness area, and a massage and hair salon. 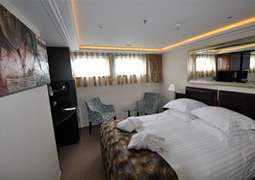 Its spacious staterooms are furnished in soothing natural wood colors and gold, and a high proportion of rooms have a balcony. Daily shore excursions are included in the cost of the cruise, and live music nearly every night will keep you on your toes. 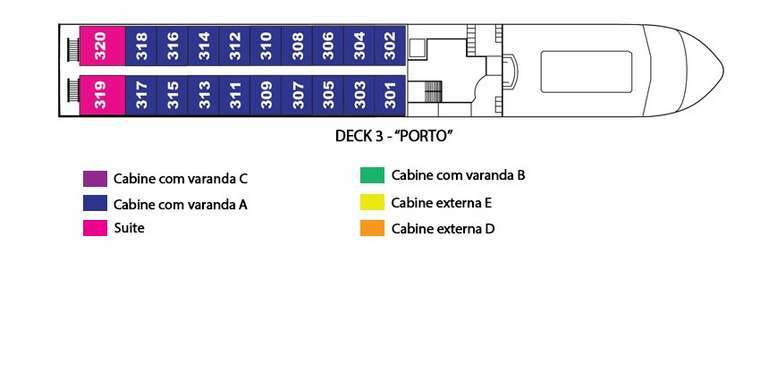 The staterooms on the AmaVida are designed with your comfort in mind. In-room temperature controls will keep your room just the way you like it, and most rooms have a French balcony where floor-to-ceiling windows can be opened to let in fresh air, as well as a normal outside balcony where guests can sit and watch the sun go down or enjoy the weather. A flatscreen TV doubles as a computer, and high-speed Wi-Fi will keep you well-connected during the course of your trip. Suites additionally have extra storage space, an expansive separate sitting area, and two sinks in the bathroom. Guests will not go hungry on the AvaVida. The dining is divine and includes the best local dishes from different cruise destinations, including Spanish tapas and Portuguese cheese. Port wine is generously served, and included in the cost of the cruise. European as well as American-style breakfast foods are available, and small sandwiches and snacks are available between meals in the Main Lounge. 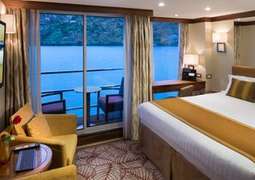 AmaWaterways offers destination-focused cruising with included shore excursions taking place every day. The cities visited take center stage on a cruise with the AmaVida, with informative city tours, historical sightseeing, and decadent wine tastings making up the majority of the cruise activities. Soak up the rays or relax in the pool on the top-level sun deck, or treat yourself to a relaxing massage after a long day of sightseeing. The AmaVida has a casual dress code. Guests are advised to dress for the weather and wear comfortable shoes for walking. Swimwear is not allowed except for the pool deck, and many guests choose to dress smart-casual for dinner.